If you or your family loves to do a lot of outdoor activities like camping, fishing, or hunting, a portable tankless water heater could be a good investment. It comes in very handy and would save you a lot of trouble especially for long-term camping trips. Portable tankless water heaters are not very expensive. They are also great for RVs. So how do you choose the best portable tankless water heater for you or your family? There are certain things to consider but it would always depend on the type of activities you intend to use it for, the duration, and of course, your preferences. As of now, portable units can only be powered by gas; specifically, liquid propane fuel or LPG. But they still require batteries. To know which portable tankless water heater is perfect for you, here are some of the things you need to remember. Because they are called tankless water heaters, as you might have guessed, the gas tank is not included. So be prepared to purchase the appropriate size of propane tank for your unit and have it ready before your trip. A good idea is to pre-order it near your destination so it would be there for you ready to use. Consider the amount of time it takes to set up a portable tankless water heater and the difficulty. Check how many tools are needed. As much as possible, choose one that requires minimal set-up. Normally, you just have to connect the heater to a garden hose nozzle and propane tank. Check the size of the nozzle it can fit into. A standard size is easier to look for than custom sizes. Most portable units require batteries. Normally, these are D cell batteries that you need to purchase separately. Some units are designed for semi-permanent installation; great for cabins or vacation cottages. 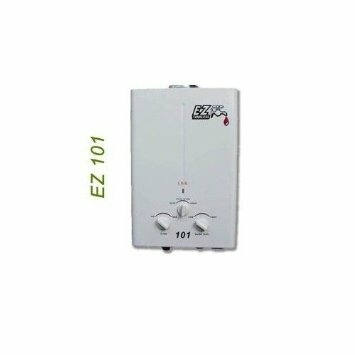 These could require an electric outlet to power the unit, normally between 110 – 120 V. The Eccotemp FVI-12-LP High Capacity Propane Tankless Water Heater is an example of this. Check if the cord is included. Portable units that can be used indoors require venting but they are usually minimal. Check if the venting kit is included in the package. If not, see how hard it is to set up a vent system to be able to use the heater. Some portable units are designed only to be used outdoors, in which case, you don’t have to worry about venting. One of those is the Eccotemp L5 Portable Tankless Water Heater and Outdoor Shower. These are great for camping. It would be very useful if the unit is designed with a foldable storage handle. It would be easy to pack things up and carry it safely when you start moving. This may not be a big issue if you intend to use the heater for semi-permanent installation but it is definitely a must-have for short trips. Some units come with a free regulator hose that you need to connect to the gas tank. If it’s not included, be very careful to check which size the unit is compatible with before buying one. Unless you have really planned in detail exactly when and where you are going to use your portable tankless water heater, it’s hard to predict how cold the climate is to going to be in your destination. If you are more inclined to travel in the colder seasons, you might want to check if the unit can stand up to very low temperature. If possible, a freeze protection feature would be perfect. It would also protect the unit when not being used during those times. As in any type of tankless water heater, the most important thing to consider is still the amount of hot water you’re going to need. Some units have the higher capacity even if they are portable. Once you’ve determined how much hot water you’re going to use for the duration, check how many gallons of hot water the heater can provide per minute. This is also known as the flow rate. Portable units are limited to 1.4 to 2.5 GPM. 3 GPM is already considered a high capacity for a portable. Your portable unit should be as lightweight as possible so it won’t be difficult to carry around. Anything exceeding 14 lbs could be impractical. It’s good to have a portable tankless water heater handy for those occasional trips to the cabin, camping, and other activities. 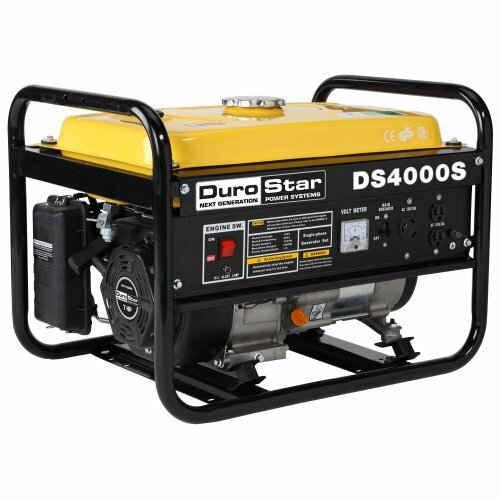 Battery powered can also be used as a backup in case of power outages.